The new home of partnership. myHARTING. Visit our new digital project and partnership platform. 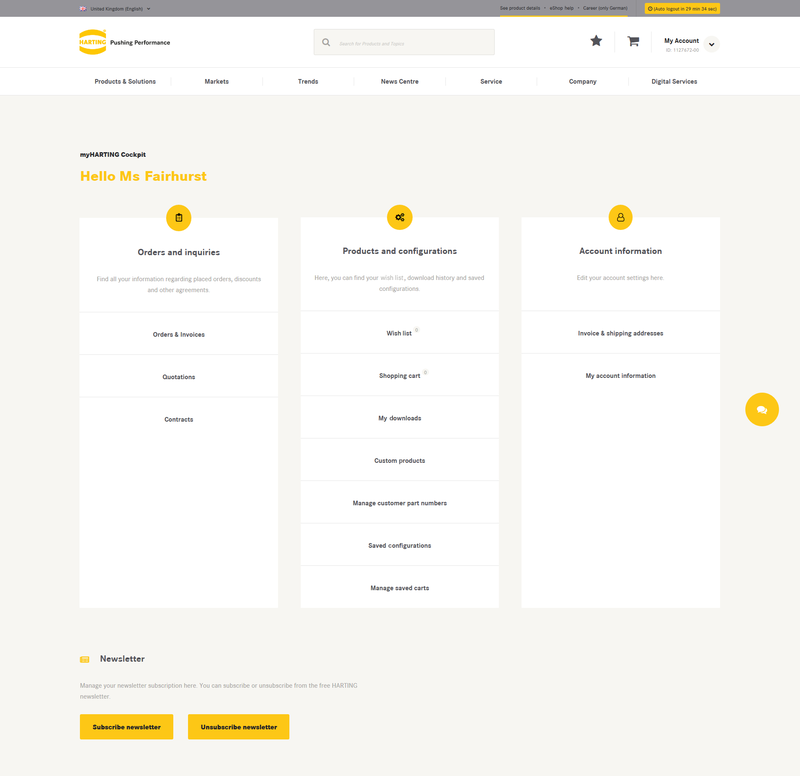 myHARTING – making collaboration and workflows simpler and more transparent. 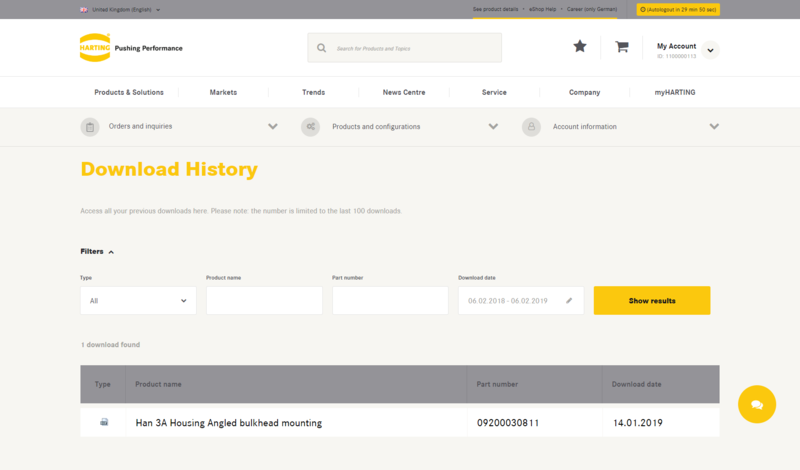 Just sign up to myHARTING – your digital home here on the HARTING digital business platform. myHARTING provides digital services offering easy collaboration, cooperation and dialogue on a mutual level. There are many different functions available to assist you in day-to-day tasks. With digital tools to inspire your work and offer added transparency and reliability. myHARTING has everything you need for your day-to-day work – and it’s quick, clear and available 24/7. You already have an account? Then log in and find out about the new features right away! Your very own ‘control centre’ with all key features at a glance, for a fast and easy access to all relevant data and information. 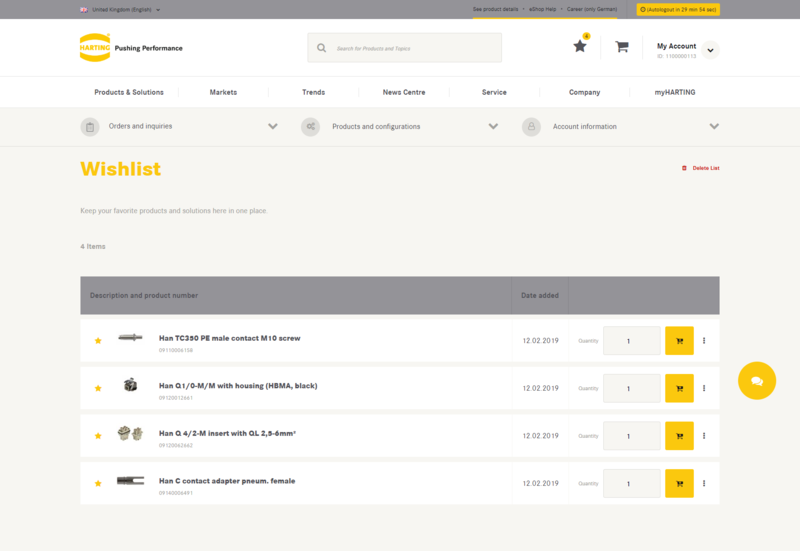 The home of your HARTING product selections. Quick access to your recently used documents. Here, you can store all the premium-content that you need for your daily work: CAD-files, technical data and valuable whitepaper. 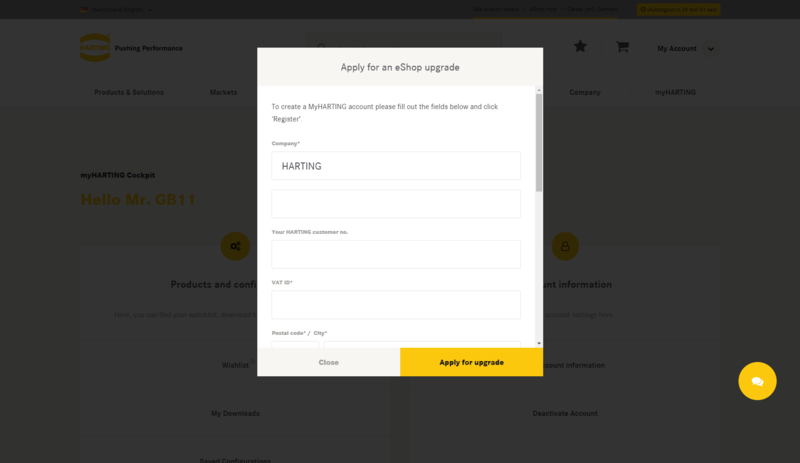 With registering to myHARTING, you’ll have the possibility to apply for an account-upgrade to shop HARTING products and check their availability. Manage your own account to receive only the information that really matters to you. Create your personal myHARTING account for free!